So, are you currently in possession of a new house pet and on a constant trip across the internet looking for answers to the myriad of cat-related questions that pop in your head every now and then? You probably arrived down to the ‘flea’ business and you are wondering if there are any risks for you and your family. Let us start by saying that yes, you can find cat fleas on humans quite easily when people don’t pay attention to good hygiene (for them as well as their pets). 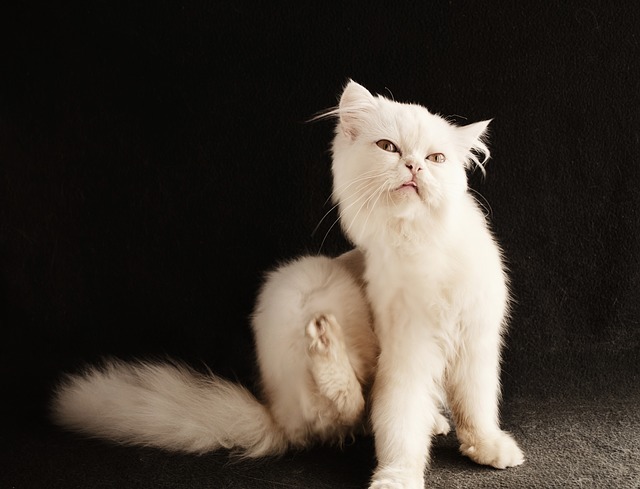 While fleas can cause more troubles and general discomfort for our pets, you can easily find cat flea bites on humans as well and believe us, they aren’t fun at all. Mother Earth bestowed us with an abundance of animals, insects and life in general. Although we might not like it, pests are quite diverse as well. When it comes to fleas, we know of at least three types that can be a pest to people: dog fleas, cat fleas and human fleas. Can cat fleas live in human hair? Yep, they can. Although we might be a lot less hairy than our furry companions, fleas are after all blood sucking bugs and since we are mammals with warm blood, just like our pets we represent targets as well. Naturally, we don’t encounter them as often as we do in our cats, but that is just because – as we briefly stated above – we don’t have that much hair to begin with. These insects evolved to thrive in environments rich in darkness, warmth and moistness and the ideal place for them is represented by our pets’ fur. Also, since they live in such hairy places means that it’s nearly impossible to spot them right away. When they travelled to our hairless skin they tend to let their presence known easier. Fleas are insects without wings and they can be found all over the world. As we already mentioned, there are more than one type of fleas on this planet and each of them seems to have a ‘preferred’ victim host. When it comes to your little Felix, the flea that tends to affect him the most is called Ctenocephalides felis which, coincidence or not, is also the most commonly found species of flea. Each insect has a life cycle containing 4 stages: egg, larvae, pupae and the adult flea. When we talk about cat fleas you should know that only the adult inhabits the fur of your cat. The other three stages live in different environments, possibly inside your home if it’s infected. Well, this is where “can humans get fleas from cats?” receives its deserved answer. Usually, if your home is infected you will find opportunistic fleas making their way towards your unguarded flesh. However, they tend – in general – to stick to their preferred host, in this case, your cat. How can we get fleas from our cat? As you probably guessed by now, in most cases when we observe flea bites on us the cause can be linked to our cat. When he or she is infested with fleas they also act as a carrier. An infested cat means that you need to prepare for a hard battle against these insects. Can cat fleas live on humans? Even in this day and age, numerous people are affected by this pest and the future doesn’t look too good either. Battling fleas is a tedious process and if you don’t take it seriously, you will definitely lose to these tiny invaders. The actual battle against fleas doesn’t include just the active and adult types that are found on your pet. You have to take measures and protect your home from future infestations. This means that you will need to take care of fleas found in the form of eggs or larvae, as well. These insects will swiftly accommodate to any environment that resembles your cat’s fur. This means that flea eggs and larvae can easily make their way into your home’s carpets and furniture as they greatly resemble their natural habitat. How can you prevent such a scenario? Unlike your cat, we humans don’t have flea prevention medicine at our disposal. That’s why – and we can’t stress this enough – you mustn’t, at any cost, apply pet prevention products directly on you or on your family members. The best possible way that you can make sure that your home doesn’t get infested is to ensure your cat’s protection all year round. By doing this, both your cat and your home will remain flea-free. What to do if you are bitten? If you begin to notice some small red bumps or feel something like a rash developing on your skin, then – we are sorry to say – you are most likely dealing with some nasty fleas. However, there is no reason to panic or worry about this since we have access to universal treatment for flea bites and you will see that it is pretty convenient. First, you will have to wash the area that was affected with antiseptic soap, and do it gently. This will prevent any infection from developing. Also, the itching will be reduced as well and this is a big deal since it is the first and foremost thing that people bitten by fleas complain about. To further soothe your delicate human skin after you washed the area you can apply some ice or general, over the counter creams meant to work against itches. We mention aloe, hydrocortisone or calamine lotions. Thankfully, your skin is a strong membrane which is more than capable of healing itself and as long as you do not fall into the temptation of scratching, you will get rid of that rush as soon as possible. Hopefully, we managed to give you a few hints and pointers towards your cat and its attackers. We established that you are a possible victim as well, if you don’t take proper care of your pet. So, please make sure to pay attention to your cat and as soon as you see any signs of a flea infestation, take your cat to the vet. If you liked this post, maybe you’d like to read a similar article — Can fleas kill a cat?